Holding pruning scissors close up 4K. Person in warm jacket checking branch in background and holding scissors in other hand. Green background. hd00:16Holding pruning scissors close up HD. 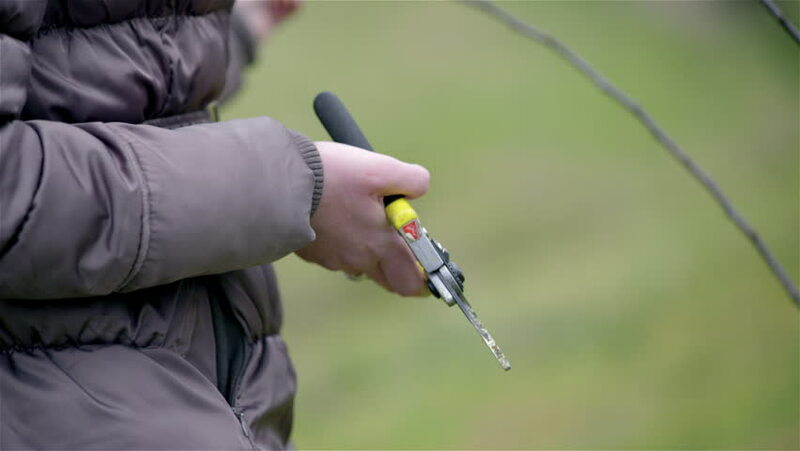 Person in warm jacket checking branch in background and holding scissors in other hand. Green background. hd00:12Treatment teeth .Dental office, medical equipment, dental burs.Close-up showing the dentist using the dental turbine drill on the equipment. hd00:21A man stops lines on a fishing pole . Slow motion close up RAW footage of a fisher man stopping the line on the fishing pole on a sunny day.